Expedition to Venus will be done in several stages. As described in IEEE Spectrum's website, which first shipped is robotic satellite will check and initial investigation. Armed with these data, a manned mission will be sent to 30-day stay at the top of Venus, then continued mission consisting of two astronauts who will be there for a year in several stages. 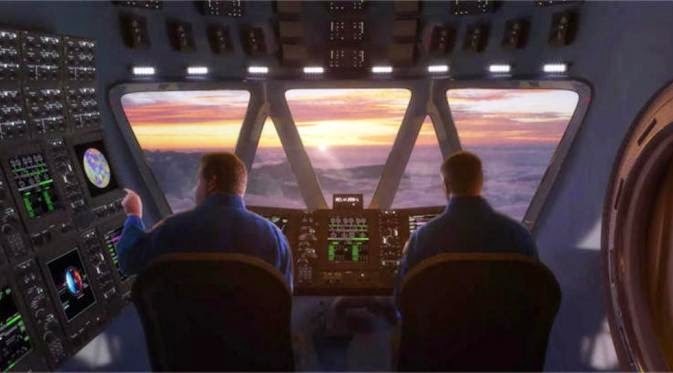 Peak, NASA's ambition to build a permanent human colony in the floating city above the clouds. If the city was built, further exploration will be more modest. Namely by sending Zeppelin - cigar-shaped blimp - manned with the length of 130 meters which is flown using helium. The blimp will be equipped Zeppelin smaller, measuring 31 meters long. Zeppelin will utilize the closest distance of Venus to the Sun - by absorbing energy through solar panels covering an area of 1,000 square meters located on it. Mission to Venus will use existing technology, which is also not yet exist today. At least take one or two decades for people to realize this ambition. If successful, this program could provide a way for people to find somewhere else to live in the universe. Beyond Earth. Another step would be NASA is to simulate the conditions of Venus on Earth - as was done on Mars. Scientists say even more sense for humans to approach Venus, before sending humans to Mars. "Venus has value as an exploration destination even human colonization, but so far only for the complete planning an expedition to Mars," said Chris Jones from the Langley Research Center.